Last Friday, Julia and Jane stopped in at the Quinault Division of Natural Resources in Taholah, Washington. Julia, wearing “both her hats” as an Associate Dean of Academic Affairs and Diversity at the College of the Environment and the Executive Director of COASST had a chance to hear from a host of Quinault Indian Nation resource managers including Joe Schumacker, Ed Johnstone, Daniel Ravenel, Heather May, Mark Mobbs, Larry Gilbertson and Janet Clark. Non-bird finds: deer, cormorant egg, monofilament ball, toy boat. 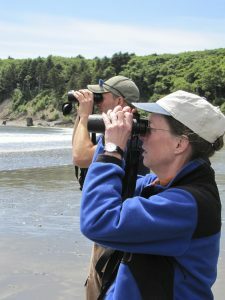 Julia and Daniel check out some (live) seabirds. Julia and Nick examine the find of the day. Hint: a tubenose, common this time of year. 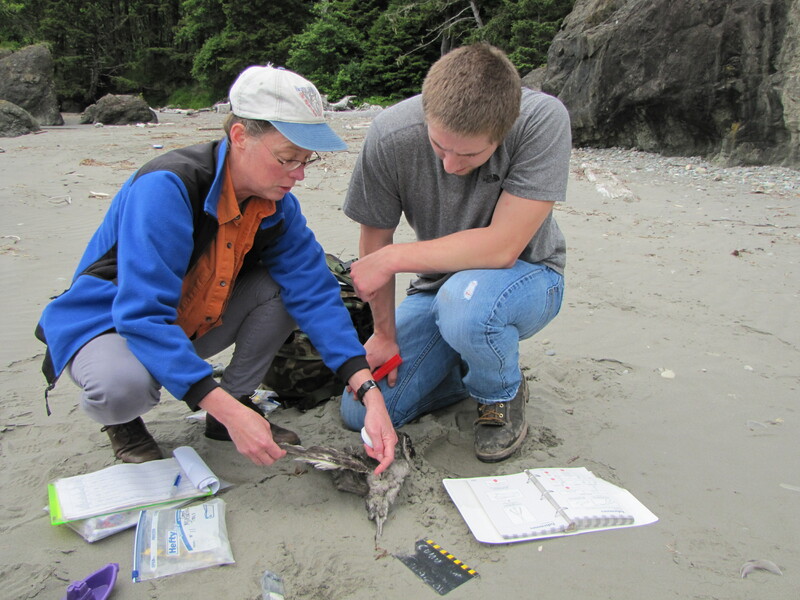 This entry was posted in Uncategorized and tagged Citizen Science, North Coast, Student, Training, Washington on June 23, 2013 by coasst.